Home · Property Management · Collections : What is a Tenant Eviction Judgment and How Can You Collect? What is a Tenant Eviction Judgment and How Can You Collect? Terminating a tenancy can be a lengthy and complicated process because state laws dictate the steps landlords must take to evict tenants and pursue money for unpaid rent and damages. If you have a tenant who has violated the conditions of the lease, the following information provides a basic overview of the tenant eviction process. Before you can sue a tenant for damages to the property or unpaid rent, you must legally terminate the tenancy in writing. Then, if the tenant doesn’t move out or pay you what is owed, you can file an eviction lawsuit against the tenant. There are three basic types of termination notices used to terminate a tenancy. Keep in mind the terminology of these basic landlord forms may vary from state to state. Pay Rent or Quit Notice: When tenants fall behind on rent, this notice gives them three to five days (in most states) to either pay the rent or move out. Cure or Quit Notice: When tenants violate a condition of their rental lease, this notice gives them a set amount of time to correct the violation or move out. The tenant engaged in a serious illegal activity (such as drug dealing) on the premises. The tenant was late paying the rent on more than one occasion. The tenant caused serious damage to the rental property. The tenant repeatedly violated a term of the rental lease. Each state has its own set of requirements that must be met in order to terminate a tenancy. Since procedures vary from state to state, it’s important to examine your state’s landlord-tenant laws before serving any type of tenancy termination notice. After receiving the tenancy termination notice, if your tenant refuses to move out or correct the lease violation, you must initiate an unlawful detainer lawsuit. This involves serving the tenant with a summons and complaint for eviction. 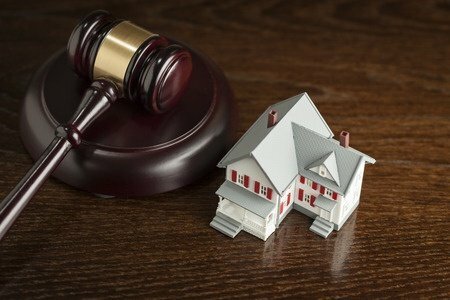 Upon winning the lawsuit, you’ll receive a judgment allowing you to take possession of the property. However, this doesn’t allow you to simply throw the tenant and his belongings out onto the street. Typically, you must contact the sheriff’s department so an officer can give the tenant a deadline for moving out. If the tenant doesn’t vacate the premises by the deadline, the officer can physically remove him from your rental property. To recover money during a tenant eviction, you must request a money judgment in your initial eviction complaint. If the judge awards you with this money judgment, the tenant is legally required to pay you all the money that is owed plus interest. This way, even if the tenant fails to pay, you can file have his wages or bank accounts garnished until the money is paid in full. Once a money judgment is official, it can be submitted to collection agencies and reported on the tenant’s credit report. From here, you must decide whether or not to continue paying a collection agency to pursue the tenant for your money. Unfortunately, if the tenant files bankruptcy, it will interfere with your collection efforts. The tenant eviction process can be a complex and sticky process so discuss the details of your case with a lawyer before you proceed.